It’s time for the second edition of Christie Messiah Watch, that feature in which we see who’s forgotten a lesson of 2008: That a politician who can deliver a good speech and get cheers from a friendly audience may not single-handedly fix everything. I have never seen a crowd so literally desperate for someone to run for president, nor seen such a heartfelt and frank appeal to someone to run as from the woman who got up in the balcony to implore Christie to think about (he didn’t say he wouldn’t). The governor seemed moved by the entire experience. His speech was plain-spoken rather than eloquent, but benefited from Christie’s emphatic and sincere delivery. Never? Really? I seem to recall some crowds fond of Senate candidate-then-senator Barack Obama. 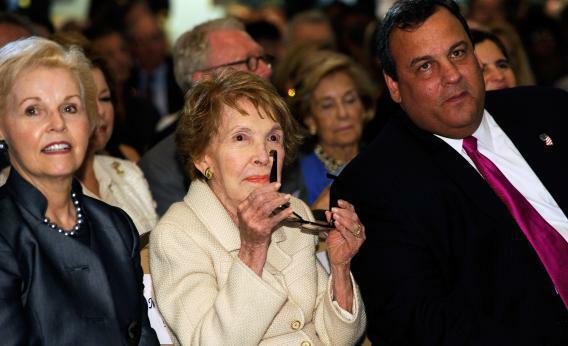 In the speech, delivered clearly and with passion, Governor Christie sounded — well — it was as you would expect at the Reagan Library: simply Reaganesque. We can stop right there. No higher praise exists.